Mikasa is near Hiroshima train station. Just a few minutes’walk. 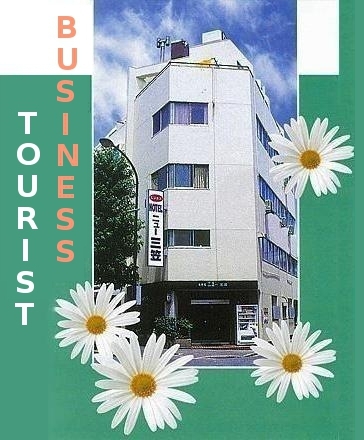 Moreover hotel charge is inexpensive compared with other hotels around Hiroshima station. You can use internet and wi-fi in the room. If you want to use wifi, we rent a wifi router. but we don't rent a PC. Some staff can speak english and spanish. Please feel free to ask. Room rate is 30–50% higher during peak seasons. Reservation can be made up to 2 months in advance. 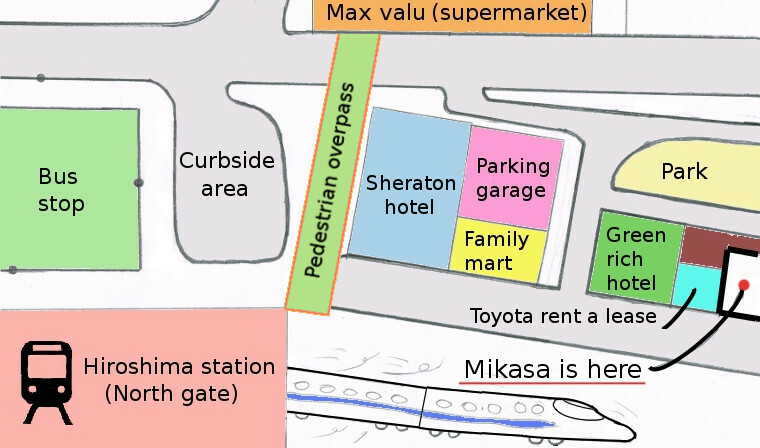 Mikasa hotel is located to the east of Hiroshima station shinkansen-guchi.